I am always writing to music, and this moment is no different, I'm listening to Hotel California by The Eagles and the lyrics say: "You can check-out any time you like, But you can never leave! " 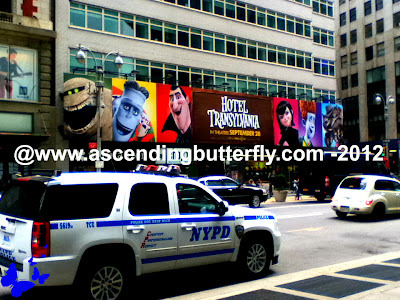 - I definitely wouldn't want to check into that hotel, but you almost can't help but wanting to check into Hotel Transylvania. 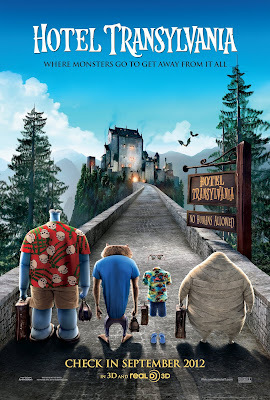 English Summary: Welcome to the Hotel Transylvania, Dracula’s (Adam Sandler) lavish five-stake resort, where monsters and their families can live it up, free to be the monsters they are without humans to bother them. On one special weekend, Dracula has invited some of the world’s most famous monsters – Frankenstein and his bride, the Mummy, the Invisible Man, a family of werewolves, and more – to celebrate his daughter Mavis’s 118th birthday. For Drac, catering to all of these legendary monsters is no problem – but his world could come crashing down when one ordinary guy stumbles on the hotel and takes a shine to Mavis. 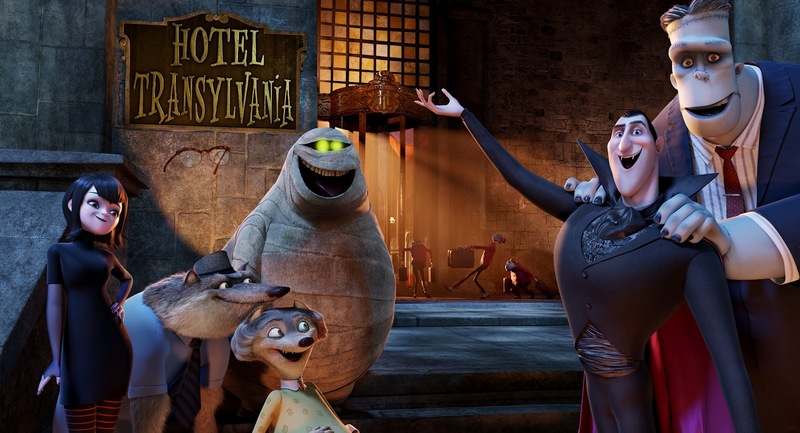 Spanish Summary/En Espanol: Bienvenido al Hotel Transylvania, el fastuoso resort de cinco estrellas de Drácula (Adam Sandler), en donde los monstruos y sus familias pueden sentirse libres de comportarse como los monstruos que son sin que haya humanos que los molesten. En un fin de semana muy especial, Drácula ha invitado a alguno de los monstruos más famosos del mundo – Frankenstein y su novia, la Momia, el Hombre Invisible, una familia de hombres lobo, y muchos más – para celebrar el cumpleaños número 118 de su hija Mavis. Para Drac, atender a todos estos monstruos legendarios no es ningún problema, pero su mundo puede desmoronarse cuando un hombre ordinario llega por casualidad al hotel y se deslumbra con Mavis. 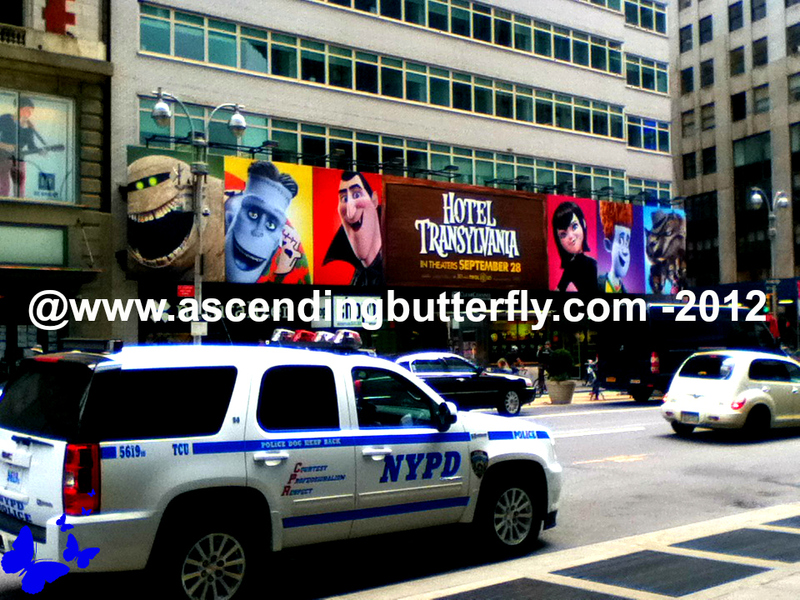 I greatly enjoyed Hotel Transylvania, it is well paced, family friendly and enjoyable. 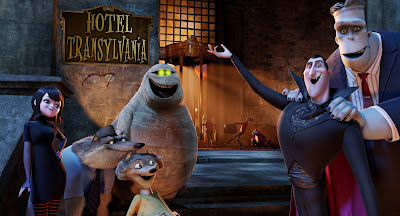 There are so many relatable moments in the film, one of my favorites is the Dad, Dracula (voiced by Adam Sandler) continually comes up with funny nicknames for his daughter Mavis, which my mom always did when I was little (and sometimes she still does! Even my dad had a funny nickname for me too!). Dracula also has a hard time letting Mavis 'fly' which most parents can relate to, and the kids will enjoy all the silly hijinx in the movie. I actually ended up enjoying this movie so much more than I thought I would, it definitely gets 5 butterflies out of a possible five! 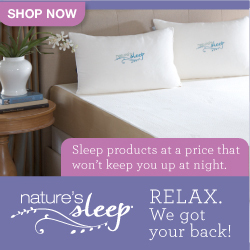 FTC Disclosure: This is NOT a sponsored post, no monetary compensation has been received. I attended an Advanced Screening as a member of the digital press. All opinions are 100% my own.